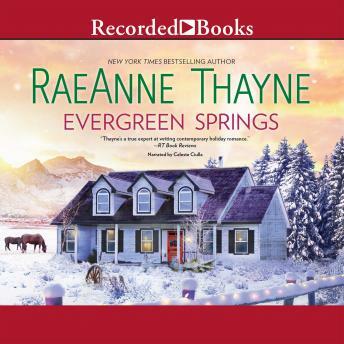 Celebrate the magic of Christmas in Haven Point with New York Times bestselling author RaeAnne Thayne, where hope, home and happily-ever-after are as close as your holiday stocking. Christmas is the last thing on Cole Barrett's mind this year. He's barely hanging on trying to care for his two grieving children since his ex-wife died in a tragic accident. For the reclusive Cole, this is no time for gift-giving and celebration-and certainly not for a sunny-natured optimist to blow into his screwed-up life. Physician Devin Shaw has long researched the curative powers of Lake Haven's mineral waters. Unfortunately, the hot springs are on Barrett property, forcing Devin to strike a bargain with the ranch's attractively gruff owner: she'll give Cole's children a magical Christmas, and Cole will allow her patients access to the springs. But can she work her holiday magic to heal the Barrett family's battered hearts-and her own?